“Hi, this is Dr. Dave. I understand you’re still suffering and I hate that, but there’s a reason why. Unless you Correct the Cause of your Plantar Fasciitis, you are literally flushing your hard earned money down the drain. Lastly, I will show How To Correct the Cause. The Classic Symptoms of Plantar Fasciitis include heel, arch and foot pain commonly more severe in the morning. 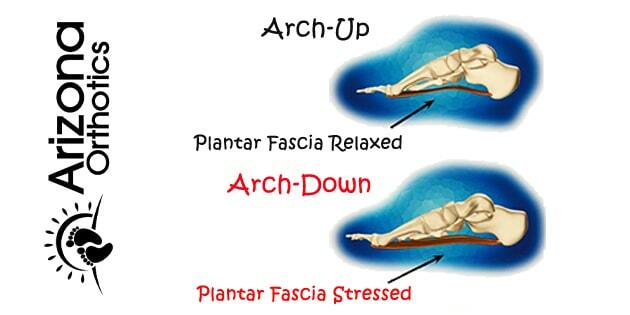 In other words, plantar fasciitis is the end result of an Arch Down Alignment & Micro-Tearing. This treatment involves the further lengthening of an already over-stretched region. Stretching involves time, at least 5 minutes per day. 5 minutes per day times 365 days per year = 1,825 minutes per year for the rest of your life. Stretching lengthens the fascia which is already overstretched which means the fascia now provides even less support. Additionally, as the arch further flattens the foot continues to lose its ability to absorb shock. This category of treatment for plantar fasciitis includes ice & over the counter anti-inflammatory medications like Naproxen (Aleve), Topric, Traumeel, Ibuprofen (Advil, Motrin IB), acetaminophen (Tylenol), Aspirin (Bufferin, Excedrin and Bayer). Ice is cold, can be rather uncomfortable to apply, and requires 15 minutes per application. Medication has side-effects and is toxic to the liver. This particular treatment for plantar fasciitis is classified as a piece of durable medical equipment (DME). Night splints are designed to force and hold the foot and toes in dorsiflexion under tension all night effectively stretching the fascia. Night splits will usually lessen that “first step in the morning” pain and temporarily relieve symptoms. These splints range in design from real soft and flexible to the more rigid versions. Night Splints can be incredibly uncomfortable to wear making it difficult to sleep for some. Also, they stretch the fascia more aggressively than a standard static stretch creating a potential instability and allowing the condition to progress faster. This treatment for plantar fasciitis involves injecting a steroid directly into the heel and site of inflammation. Corticosteroid injections tend to provide more pain relief than oral anti-inflammatory medications. Can be costly @ $100 - $300 per shot, in addition to the standard cost of an office visit. Side effects include weak tendons, thin skin, easy bruising, bone loss, avascular necrosis, cataracts, indigestion, muscle weakness, back pain, bruising, and thrush. Injections are designed to treat symptoms! Injections may temporarily help reduce pain and inflammation, but do not address the cause of pain or inflammation. Shhhhh…Foot Doctors don’t make money when you address The Cause of Foot Problems and stop coming back for more injections. ESWT is when sound waves, either of high or low frequency, are directed to the plantar fascia in an attempt to speed healing. Shock wave therapy is believed to induce additional micro trauma which in turn restarts the healing response. Usually 1 to 3 treatments are required depending on the intensity of the sound wave. This treatment is unproven and can be rather expensive ranging anywhere from $500 up to $1,800 per treatment. This Aggressive Treatment for Plantar Fasciitis is reserved as a last resort! Cutting the plantar fascia will certainly lessen the pull on the heel, but can also result in arch and foot instability. When you cut the fascia, you remove 30% of the foot’s supporting structure. Cutting the fascia is permanent and can cost more than $10,000. Foot function may never return to normal. Seems like an awful lot of trauma to endure compared to correcting the cause. Long term solution versus surgical trauma? Shhhhh…Surgeons don’t make money when you correct The Cause of Foot Problems! Physical therapy for plantar fasciitis is designed to improve the function of the rubber-band like muscles compared to the seat-belt like stabilizing ligamentous and fascial support. Exercises may help strengthen each foots musculature, but cannot improve the ligamentous and fascial support responsible for holding each foot in its corrected MASS Posture. Typically requires 3 treatments per week for 8 to 12 weeks. That’s 24 to 36 treatments with costs ranging from $10 to $200 per visit. Body weight plus gravity is an overwhelming force upon the 26 bones and 33 joints in each foot! This treatment for plantar fasciitis is a shoe with a "shock absorber". The Z-Coil is a mass-produced shoe with a "coil" designed to act as a spring and absorb shock as you walk. Learning to walk in this shoe can be challenging resulting in falls & ankle sprain/strains. When the foot functions as designed there’s no need for an artificial spring. Kinesiotape treatment for plantar fasciitis is stretchy tape that creates a lifting of the skin from the underlying fascia allowing these tissue to glide with ease. Needs to be reapplied every 3 to 5 days. Costs on average $20 per roll. This treatment for plantar fasciitis is a basic neoprene sleeve designed to apply compression to the arch. Provides heat potentially worsening inflammation. Heat is the opposite of ice which is designed to reduce inflammation. This treatment for plantar fasciitis tends to provide a nice cushion and some comfort. Unfortunately these products are truly nothing more than a mass produced option with the words "plantar fasciitis" on the packaging. Other than size and style, there’s nothing about these products specific to match individual needs. NOTE: ALL THE aforementioned treatments have ONE thing in common – they’re all designed to treat the symptoms of plantar fasciitis TEMPORARILY. Optimize HOW the Body's Foundation Handles Gravity! That's HOW the fascia begins to heal. 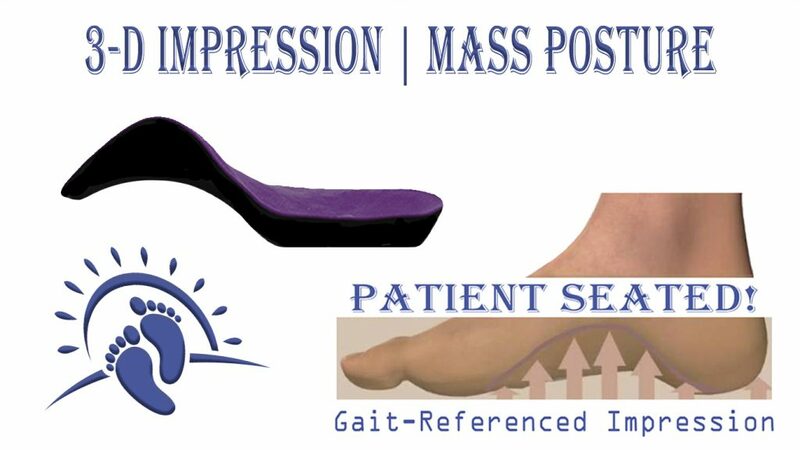 Eliminate Overpronation with a made-from-scratch MASS Posture Precision Calibrated custom-foot-orthotic designed to CORRECT THE CAUSE of Plantar Fasciitis. Then we Optimize HOW each Foot Functions via Precision Calibration! Precision Calibration is HOW an orthotic absorbs shock allowing the fascia to function normally once again. 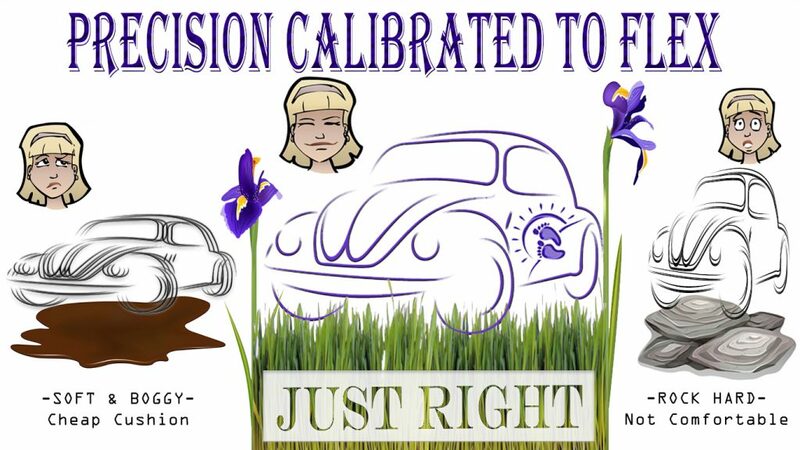 Learn more about precision calibration here & thanks for stopping by.